Amid Chinese economic slowdown and serious coal overcapacity, domestic coal companies are under pressure from weak demand, restricted production and price falls, and losses even if they are making effort to cut production cost. Such situation makes it significant to study coal production cost in an all-round manner, i.e., to analyze cost items, compare cost among regions and between domestic and imported coals, forecast cost variation trend and present suggestions on cost reduction. 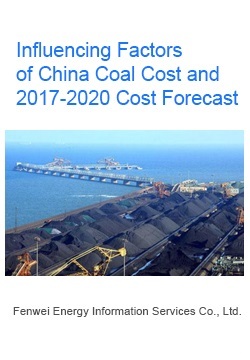 Plus, the supply-side reform of domestic coal industry brought changes on coal cost and raised people's concern for China coal cost variation trend. To help coal producers make right operation decisions and buyers choose raw materials with the best cost performance, we hereby introduce this special study report, based on our proprietary “China Coal Cost Database” and exclusive expert views. This report will be presented in form of PPT.